So from Don Det I took a somewhat nightmare bus journey to Savannakhet. After struggling at snails pace for awhile the bus broke down, the journey overall took hours more than it should have, the drivers/bus people neglected to tell me and the 2 others making the same journey when we had to get off until after we’d been sitting somewhere for 10 mins (despite one of the others asking twice in those 10 minutes about Savannakhet) and to end it after we’d asked about 6 times how we were supposed to actually get to our destination we were put onto a mini van with no instructions and a driver refusing to acknowledge us. Arriving at 10pm it then took us over an hour to find somewhere to sleep! But made it, so victory in the end. 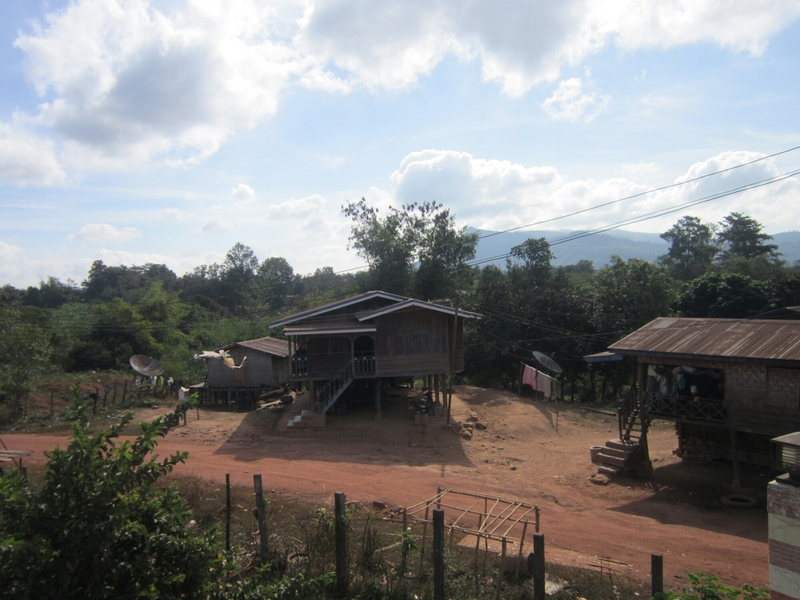 There’s not much to do in Savannakhet. It’s not a bad place, and the French influence in the buildings is cool, it’s just kinda boring for a backpacker. Somewhere to chill out maybe, but not much sightseeing, just a couple of churches and temples. I decided if I was going be chilling out by myself over Christmas, i’d rather do it on the border ready to enter Vietnam on boxing day, so I headed for Dansavan on a local bus. The bus drives along the old Ho Chi Minh trail which is pretty cool. It’s a small border village and I was pretty much the only Westerner for a 100 miles. Still I just took it easy and did some reading (and blog of course!!) and the guesthouse owner secured me use of the WiFi from his restaurants neighbours so I could message everyone on Christmas day, which was nice. Pretty much every kid in the place said hi to me at some point, clearly it was a novelty to have a westerner stay in town for a couple of days. Food wise I essential had the same vegetables and noodles made in different variations each meal. Tough for a vegetarian there, but hey sticky rice and chilli sauce is a tasty combo. So boxing day came and I walked across the border to Vietnam, entering at the Lao Bao checkpoint. I was pretty clueless what to do once I got through the border but a mini van turned up and after some explanation involving my guide book and hand gestures that I needed to go to an ATM to get Dong out to pay they took me to Dong Ha, where I was put onto another mini van and the process was then repeated but fortunately another passenger spoke good English and explained to the driver for me and success was achieved. 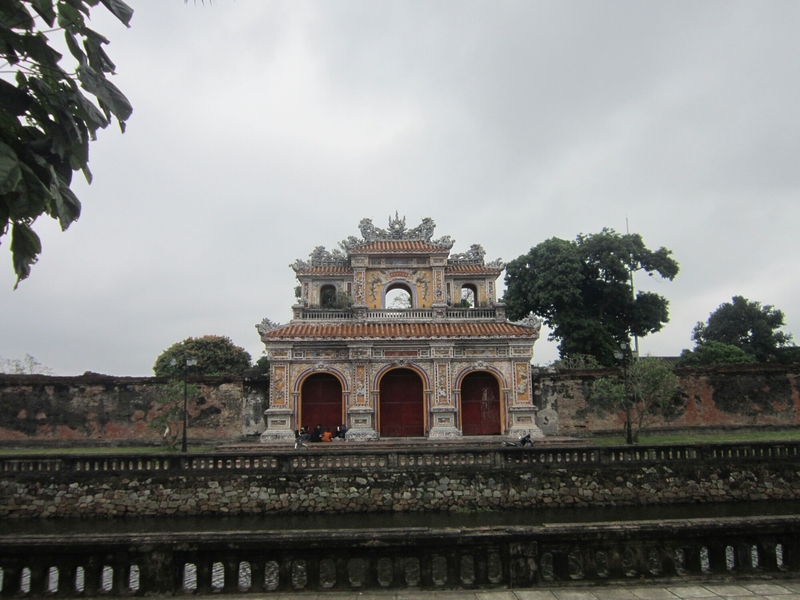 So after an ATM stop I arrived in Hue! Hue is an ok city, you get hassled a lot by bike drivers which is annoying but it’s pretty easy for backpackers otherwise. It’s set on the Perfume River, which is pretty impressive as you cross from the downtown backpacker area across the bridge to the Citadel. 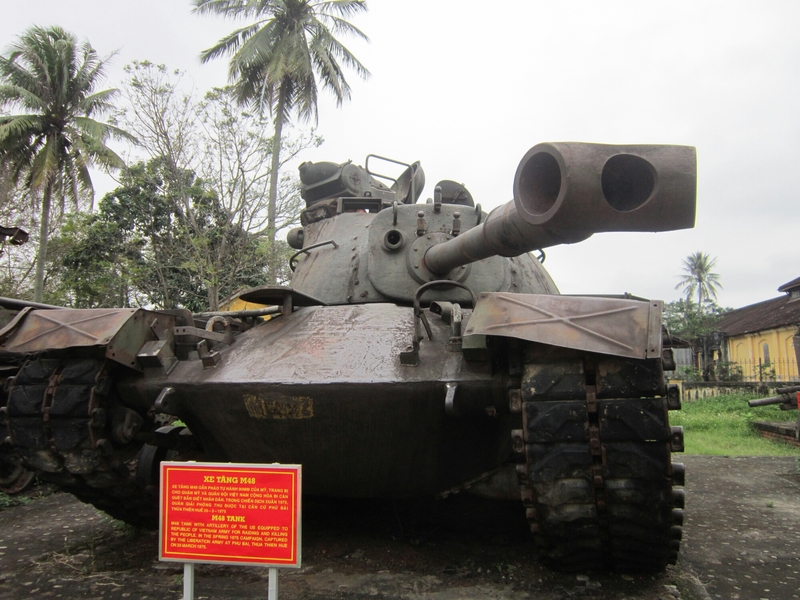 My first day I acquired myself a new phone to replace the one I annihilated tubing in Vang Veing, and visited the Thuan Thien Hue Museum which has a cool collection of Artillery guns, Tanks and planes from the American/Vietnamese war, many of them captured US equipment from after the US had withdrawn and the North secured it’s victory in 1975. The hostel I stayed at was a branch of the Vietnam backpackers chain, which whilst it can attract a party crowd it does make life pretty easy as they are well set up for bus transfers, tours, food and so forth, with some western staff meaning there’s no communication problems. In the evening I took advantage of the free beer in the hostel and then met Marij who I had previously met in Chiang Mai (Thailand) back in November, and her friends Marta, Tom and Stefan (so Belgian, Dutch, German, German). The next day we went exploring and visited The Citadel. It contains the Imperial city, which inside includes the Forbidden Purple City which was the personal residence of the Emperor, from the 1800’s onwards. 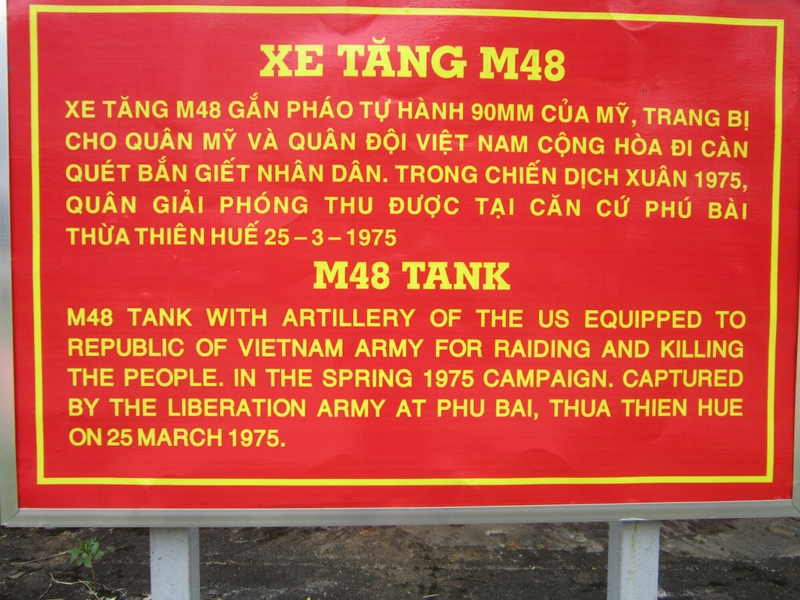 Unfortunately it has been mostly destroyed now, from a combination of French bombing as they retook Hue in 1947 and then the fighting during the Tet Offensive in 1967 during the American war. This did leave me a bit disappointed as no doubt the place would have been magnificent once, but now is largely ruins. In the evening I met up with Claire who I’d met in Laos and we went for a couple of drinks and some food. The next day the 2 of us visited the Thien Mu Pagoda, from which the Monk Thich Quang Duc drove to Saigon in 1963 and immolated himself in protest and the then South Vietnamese regime’s treatment of Buddhists. 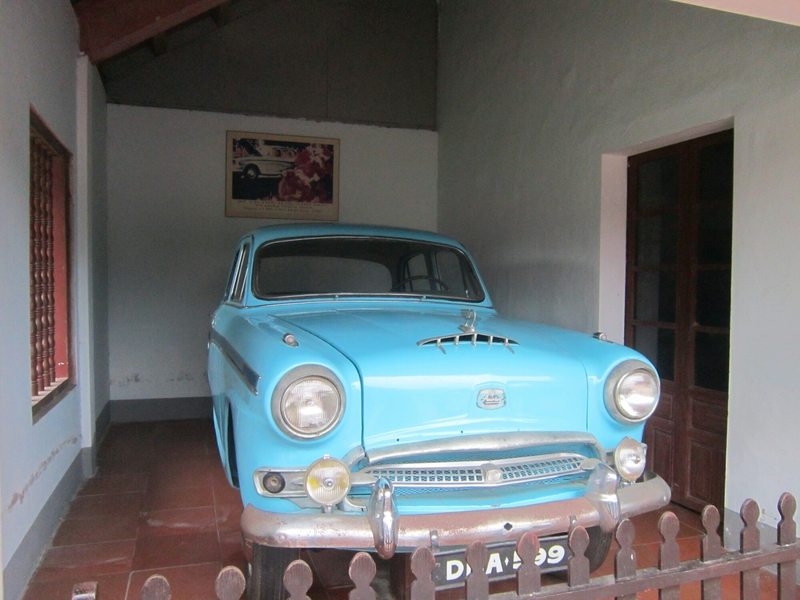 The site contains the very car in which he drove to Saigon and that can be seen behind him in the pictures that made the headlines (and that Rage Against The Machine album cover). Having grown up seeing that image so often (and even having a RATM hoody with it on) it was a crazy feeling to see that car and think about what had happened!! Saying farewell to Claire and Hue it was then time for the night bus to Hanoi!